We are proud to be a local company that serves Medina, Cuyahoga, and Lorain Counties for all of your garage needs. 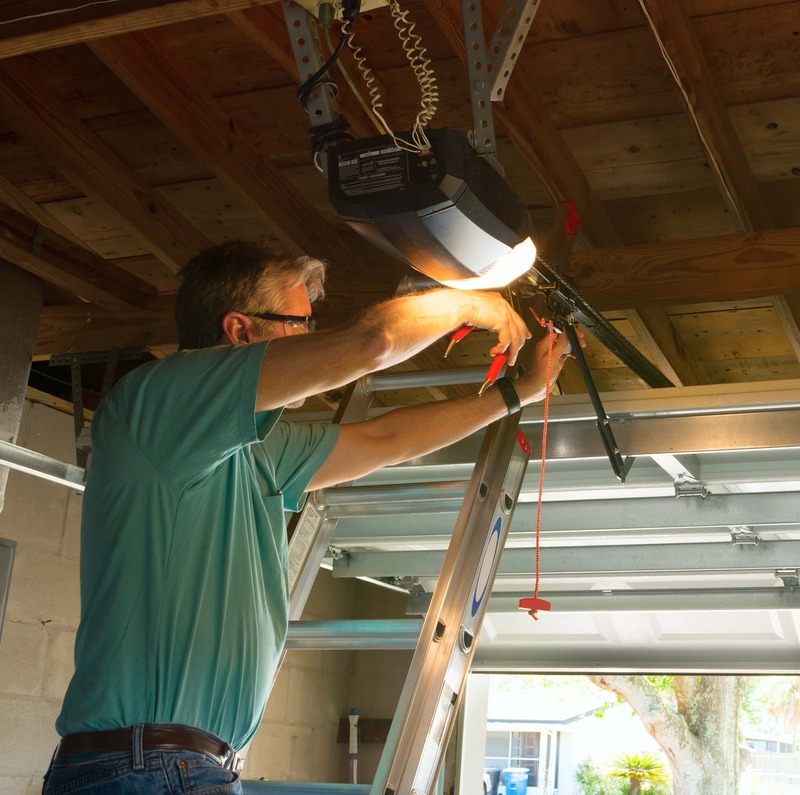 Garage door pros offers garage door installs, service/repairs, door opener installations and repairs, garage doors for apartments / developments / associations, and commercial properties. We also work with many Contractors to complete their projects. We called for service last night, and Keith has already repaired our garage door. Keith also repaired our neighbor’s garage door last month with the same fast, great service. We highly recommend him. Keith came out quickly. He didn’t try to up sell me what I didn’t need. He worked fast and cleaned up. He was able to save us money. I would highly recommend him. Great, fast service. Keith had our garage door repaired in no time. We had Keith replace a garage door for us and a few other things. Very professional service and offered a quality door at a fair price. Would highly recommend them! "Came out on a Saturday -- Did a great job. Had the door fixed in about 2 hours." We called Garage Door Pros last year (Nov 2015) while searching online for a affordable doors. We spoke to the owner Keith who was very friendly and pleasant and came out a day later to give us a free estimate. I stated that we were looking to replace the current 10x10 wooden doors for some steal doors but other companies were charging premium due to them being "custom size". He looked around and got us a great deal on some beautiful doors for such a reasonable price that it allowed us to pay for an opener and installation w/o going over our budget. He did an amazing job on the install! Top notch 101% professional work! No bs! Did not cut any corners which surprised the heck out of me being that I was at work during the whole installation process. (I wanted to take off work but he assured me that it wasn't necessary as long as he access to the garage). He arrived promptly at 8am and was completely done by 2pm. The job included framing the concrete wall and hauling of the old heavy doors! The doors had to be pre ordered due to size but he kept us informed by phone/text that we didn't even mind the 2 week wait. As soon as the doors arrived he called and arranged for installation the very next day! It was a great A+ experience ! We have zero regrets! Please don't let the fact that it's a smaller company fool you! That man means business and customer service is his #1 priority! Thanks Keith for not letting us down! Thank you for reading and have a nice day! Garage Door Pros responded to an online inquiry via Angie's List within a few hours, and was at my house the next day. After weeks of our door not operating properly, they got it working again in about 15 minutes. A few days later, the original problem resurfaced. After several troubleshooting tests, they found the root cause. It was the issue all along, but on the original call, they were able to get the unit working before stumbling across it. Although they ended up running brand new wiring and swapping out a circuit board, he didn't charge us a dime because he felt bad for not noticing it the first time. Classy contractor! I love my new garage door and opener from Door Pros! Keith was very professional and incredibly helpful in making sure that I got exactly what I was looking for. The quality of the work and the product itself can not be beat. Not only do they have a lifetime guarantee, but I'm looking forward to seeing the difference in my heating bill this winter with my energy efficient 15' Haas door. It's already so much quieter than the old one. I also like the added peace of mind I have with the security features that come with the Liftmaster Internet Gateway Opener. Now I have the nicest garage door on the block and I couldn't be happier with the entire experience. Thank you Door Pros! Keith was great! Professional. He clearly knows what he is doing and does a great job for a very reasonable price. I can't say enough about the great job he did. Keith did a job for us in Valley View. He was fast, prompt and competitively priced.Great job and seamless invoice. I would recommend him again!! What a great guy and great service. He was very professional and very knowledgeable. I would recommend his service without a doubt. You can't go wrong. Best decision we ever made! On the job right away, cooperative, friendly the best! Great company, I would recommend them to everyone I know. Keith and Garage Door Pros needs SIX STARS. His work ethic, quality of service and customer care are beyond compare. He recently replaced a double wide garage door; he was prompt, did excellent work, and price was more than fair (unbelievable actually). I recommend Keith without reservation, he's one of the good guys - if you need garage door service - CALL HIM. Very professional and honest. Would recommend to others. Very honest, Takes pride in his work and is very fast. Highly recommended! Absolutely recommend this company. Keith the owner came out to fix our door and we also wanted an estimate for a door opener. Not only did he not charge for the easy two minute fix but he gave a free estimate. The installation was fairly priced and very well done. Garage Door Pros had great communication, affordable prices, and provided excellent service. They are my go to garage company. I appreciated meeting and dealing with the owner of the business as opposed to a representative. Keith was great. Easy to work with, very competitive in price and great quality work. I highly recommend giving him a call. My third time using Keith and his company. Each time I was pleased with the price, the work and the workers. Easy to contact and good follow-up on the day of the inspection and the day of the job. The latest job was a new opener. Super fast installation, and it is so much more quiet than the old opener. Unfortunately, Keith did such a good job that I may never need his services again, but all of my friends will know about him. Thanks Keith. Keith did a great job installing our new garage door. He was very fast at scheduling a time and completing the work. He was also very easy to get a hold of and to work with. Prices were very competitive and he made sure we were happy and not inconvenienced throughout the process. Would highly recommend him and his business. Your schedule matters to us and we know it can be hard to find a chunk of time for home service during busy weeks. That's why we guarantee a 2 hour service window, always. And we don't stop there - you'll know we're coming, because we always call ahead when we're 30 minutes away from your home, so you can take care of your errands close by, and get home in time for your garage door service. Garage Door Pros cares about delivering quality service in garage door installation, door openers, and garage door/opener maintenance. Give us a call today!